Kamusta everyone, first and foremost a caveat, Gundam Breaker 3 is the first game I’ve played in the series and only manage three hours of gameplay due to time constraint, yet despite having such a limited experience, I was pleasantly surprise on how much game experience there is to be had in this title and how faithful the developers were in encapsulating the full experience of not only the Gundam anime series but also the joy of the gunpla hobby in general as well; With that said, lets begin. 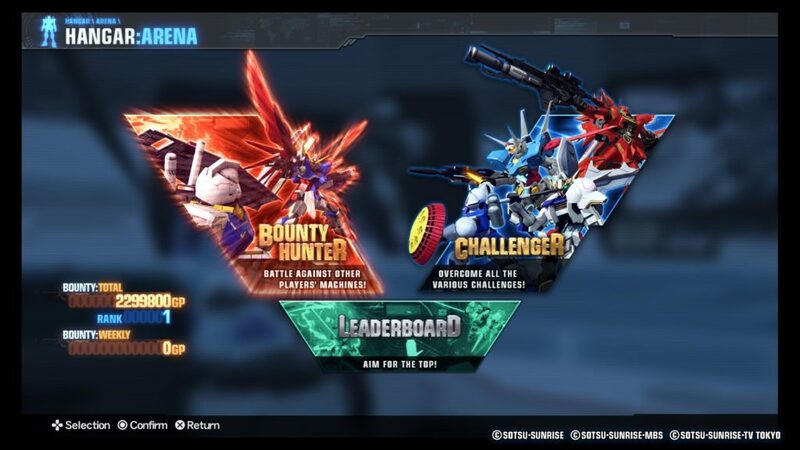 For those who are already fans of the Gundam series, this review has only one thing to convey….this game is absolutely awesome and you must definitely check it out (ok, technically that’s was two things but you get the idea). For those whose knowledge of the series only extend to the request your kids begging you to buy some strange robot toy or those in a relationship with a person who has a passion for collecting and/or modifying said strange robot toys, here’s a brief summary of what exactly these strange robot toys are. Gundam at its core is an anime series enjoyed by a diverse demographic with more than 30 years of rich history behind it, praise not only for its myriad of iconic mobile suit designs (aka the strange robots) but also its in-dept storylines that would even strike a chord in the hearts of the most stoic individuals (yes people have been known to cry over this series–God knows I have)! Contributing to the success of the series is the ever-growing number of merchandise that ranges from mangas (Japanese graphic novels), Gunpla model kits (yes this is what the strange robot toys are officially called) and of course its video games, there’s certainly are other quirky products as to be expected with any Japanese series but for now, we’ll take a look at a specific one. And here concludes the lesson on the brief history of Gundam, on to the review. 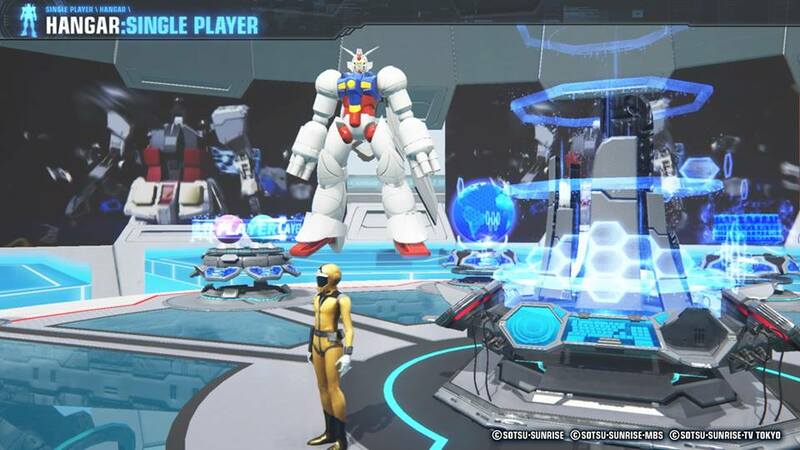 In all honesty, Gundam wasn’t exactly know for its games. 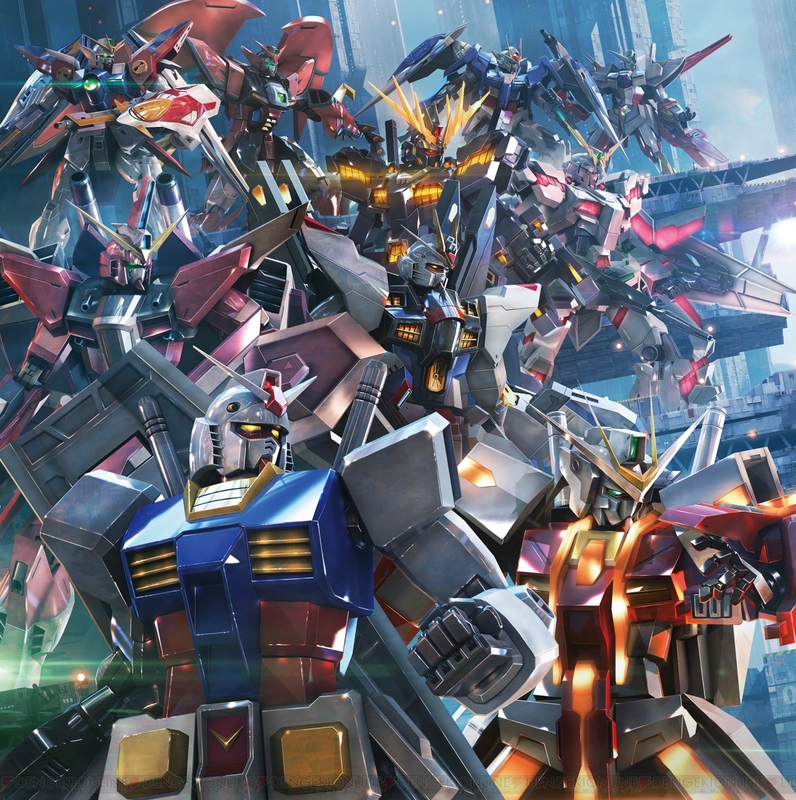 True, there were a few titles throughout the years but none of them really stood out, then along came the Gundam Breaker series which began focusing on the experience of the Gunpla hobby in general (i.e. the buying of model kits), the modifying and customizing of the kits and now with the magic of the technological age known as video games, battling with those modified kits. 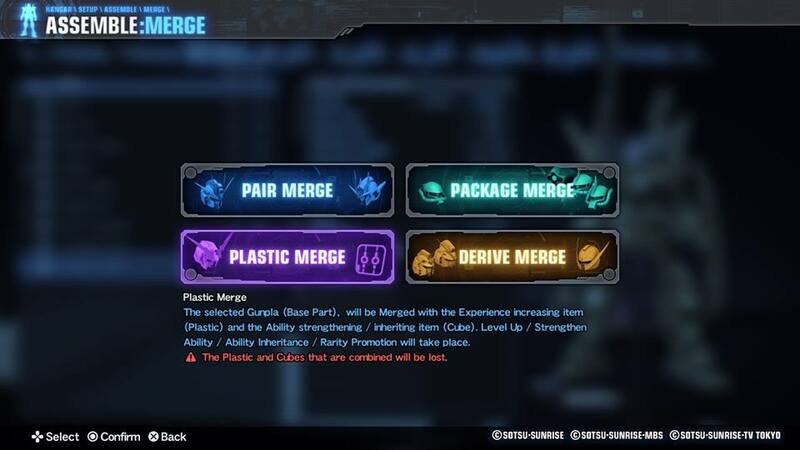 To give a sensible comparison of what you might expect from this game, think about the variety of titles found in Nintendo’s Super Smash Bros and mix it up with the customization level of Capcom’s Monster Hunter Series, add a dash of gameplay similar to FromSoftware’s Armored Core series and finally a hint of the typical Japanese RPG, what you have is a game that has the potential to be a spectacular game! VR Hangar where you’ll spend most of your time. 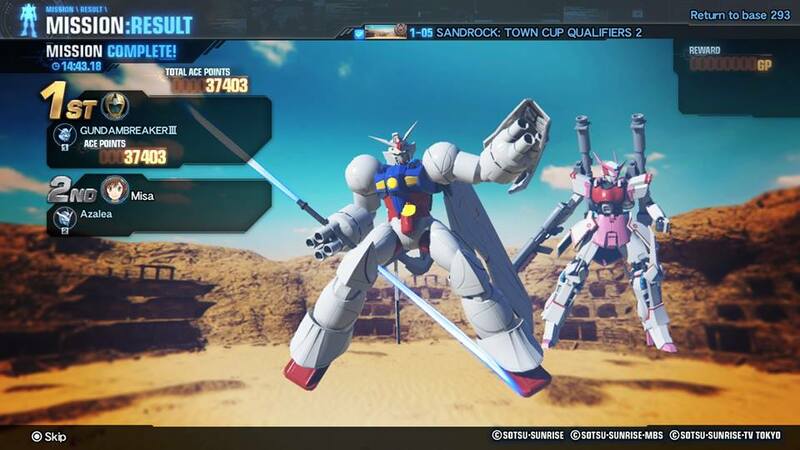 There’s a vast variety of model kits to collect from different Gundam series and the ability to mix, modify, and enhance each individual part of kit, including equipping specialized weapons and abilities., then using your newly modified kit to do fast-paced battles in either the campaign mode, the arena or with other players using the multiplayer options. It’s also worth mentioning that they included an option for you to paint your kit, and when I say paint, I mean actual weathering effect (I can almost hear the Gunpla fans saying “nice touch”). 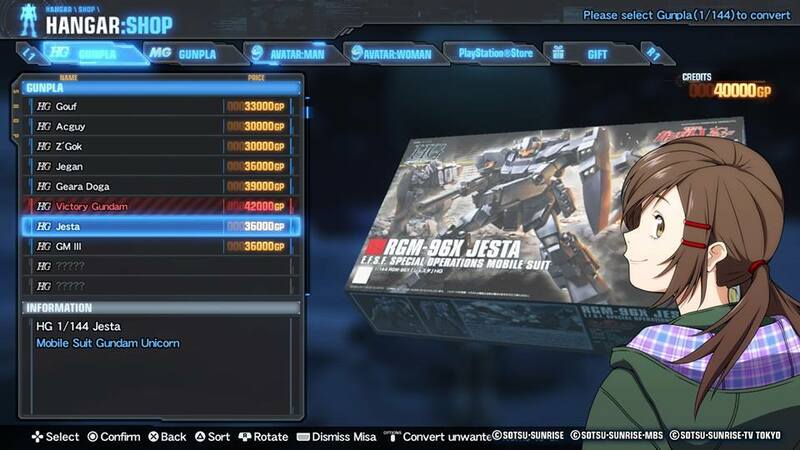 For Gunpla fans, this could provide the opportunity to examine a kit in-game before actually buying the physical kit, give you ideas what parts you’ll need to customize and how to weather it for the next Bandai Gunpla Builders World Cup, which isan actual international competition for all Gunpla builders. Honestly the only thing the game lacks is the option of making a diorama, but that’s just crazy talk. Customization Screen, where every tab option can be customized. You can enhance any parts using available materials making it better. The shop where you’ll unlock more kits as you progress. 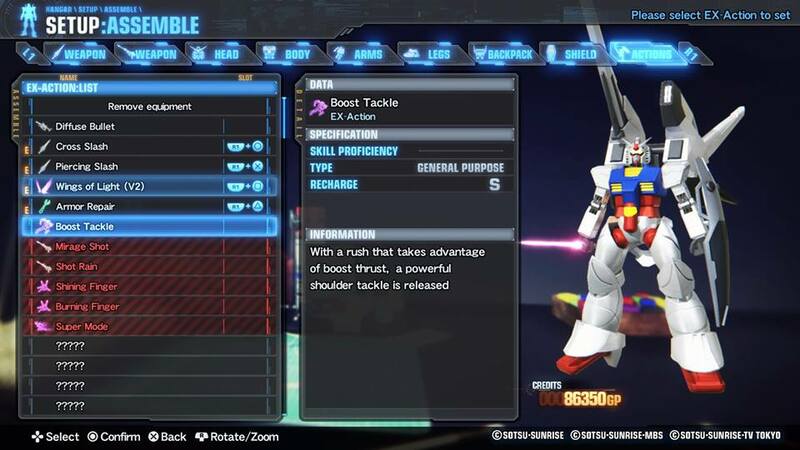 After 3 hours of customizing, meet my Gundam with his trusty support ally! Well that’s about it, please keep in mind I only had three hours with the game so please excuse my kit for being rather underwhelming, on the flip side, if only three hours of game time provided this much experience, how much more do you think you’ll have if you played a little longer! 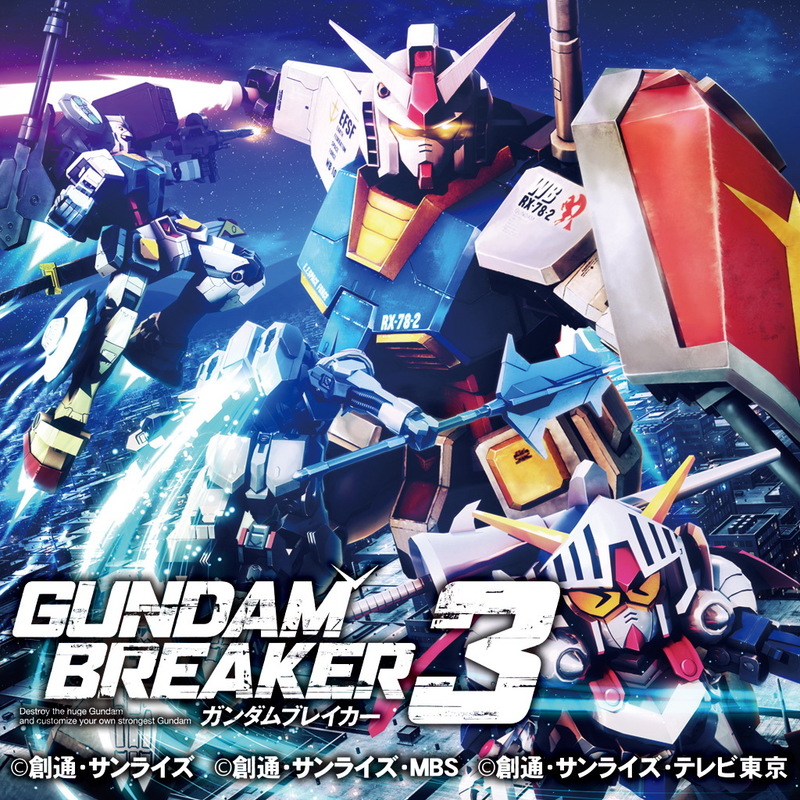 To those who are interested Gundam Breaker 3 is now available for PS4 via your PlayStation Network.